DGE are experts in developing electronic control modules, telematics integration and validation services. When they were commissioned by a major automotive manufacturer to develop a tool to enable vehicle telematics to be tested without needing to physically perform tests on the road, they needed a GPS Simulator they could trust. The Michigan USA based company required a GPS simulation device that could integrate with their system tester to evaluate telematics control units in a controlled environment. Previously using more expensive systems, DGE chose LabSat devices to record and replay GPS and CAN signal data. 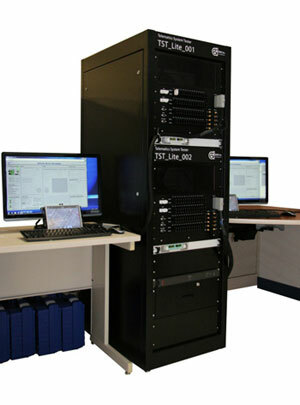 Impressed by LabSat's ability to drastically reduce testing time, DGE have now placed orders for ten LabSat devices. Chris Shamoun, Program Manager for DGE, said: "We look forward to using our new LabSats to develop our system performance. They'll also be key in allowing for future flexibility and automation of our Telematics System Testers (TST)." Jim Lau, Technical Director at LabSat distributor VBOX USA, said "DGE's investment in ten LabSat units shows they believe in our technology and recognize it is a great solution to testing their in-car telematics systems. "We demonstrated the LabSat to them over a year ago but I am delighted to see that they chose us for their current project. We look forward to continuing to supply and support DGE in their testing needs."